When voices join in song, sometimes more than music is created. Community can be created. Joy and empowerment can be present. Uplifting spiritual prayer. And heart. 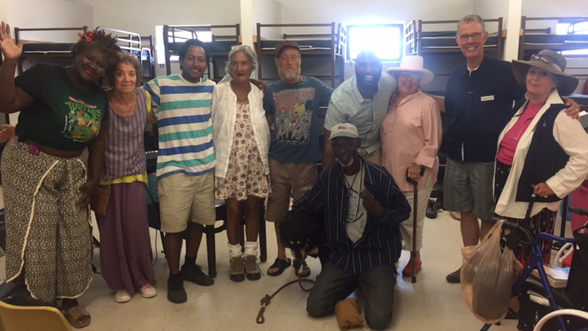 This all hap pened this summer when the Santa Fe Desert Chorale (SFDC) came to ICS and formed the Santa Fe Interfaith Community Shelter Street Choir. Fulfilling the Santa Fe Desert Chorale’s goal to engage the community in creative collaborations, Brandon Boyd directed rehearsals with ICS guests and singers from the Desert Chorale at the shelter. Brandon was the composer and pianist for Justice, a world premier presented by the SFDC this summer. For a performance that was scheduled on August 2, Brandon held five rehearsals in the weeks prior. Guests at the shelter were encouraged to practice with volunteers from the Desert Chorale and the community. SFDC board member, Richard Bentley, was the volunteer accompanist for the rehearsals and the performance. Brandon chose five songs from different musical genres for the performance. They were: I Praise the Lord Who Reigns Above, I Got Rhythm, Seasons of Love, I Believe I Can Fly, and Stop in the Name of Love. 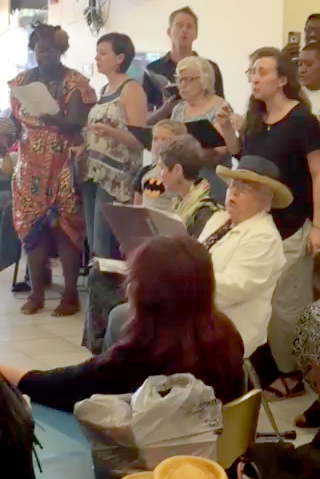 From everyone’s perspective, the first concert of the Santa Fe Interfaith Community Shelter Street Choir was a huge success. Two individual performances stood out for the Choir and the audience. LaToya, an ICS guest, sang in I Believe I Can Fly. The other was a young girl named Alex who heard the music and “beautifully jumped right in and sang,” Brandon said. After the performance, Alex said that she wished that she could sing with the Street Choir every day. And, that’s the hope of Santa Fe Desert Chorale and the Interfaith Community Shelter, too. 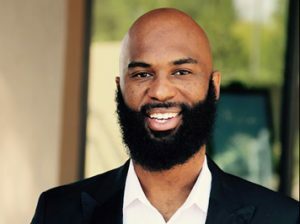 “The Board for Desert Chorale hopes to continue this wonderfully rich experience with the Street Choir,” Richard said.